There is something like a dozen Disney princess films in the company’s 93 year catalogue of film-making but there’s never been anything quite like Moana. The first animated feature film from Disney to be set in Polynesian culture, Moana quite happily sheds long-standing Disney tropes (love interests, fast talking animal sidekicks, dead parents etc) in favour of jumping headlong into Polynesian mythology. This certainly doesn’t feel like a film that fits the usual Disney template. 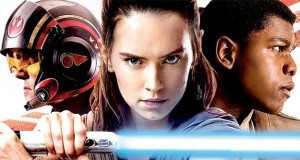 For one thing, the majority of the film only has two characters. Its a story that features a demigod, lava demons, shapeshifters and reincarnated spirits. Moana is a film that feels fresh and is brimming with interesting ideas. And it is all handsomely presented in some of Disney’s finest animation to date. Moana Waialiki is the daughter and heir of a chief on the tiny Polynesian island of Motunui. Once the ancestors of proud explorers, Chief Tui Waialiki now insists that Motunui is their permanent home and the island can provide the villagers with all the sustenance they need. But when the crops begin to fail and fish in the local reef becomes scarce, pressure mounts on the village to find a solution. Although the Chief tries to discourage Moana’s inquisitive nature and natural inclination to explore the ocean, she is given a nudge in the right direction by her grandmother Gramma Tala. As Tala’s health begins to fail and she realizes she is running out of time to save the village, Tala reveals to Moana the true ancestry of their tribe and the long history of sea farers that form their heritage. 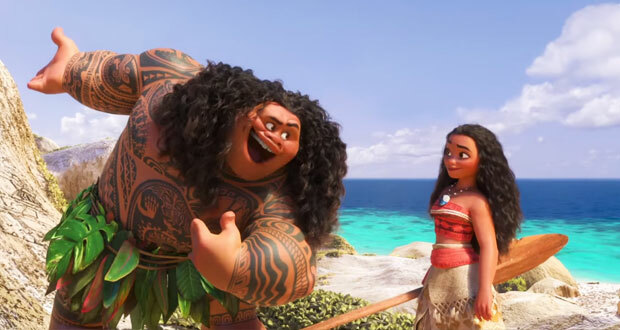 Moana learns of the demigod Maui who stole the heart of the goddess Te Fiti. She is tasked with finding the demigod so that he can return the heart and stop the darkness consuming the village. 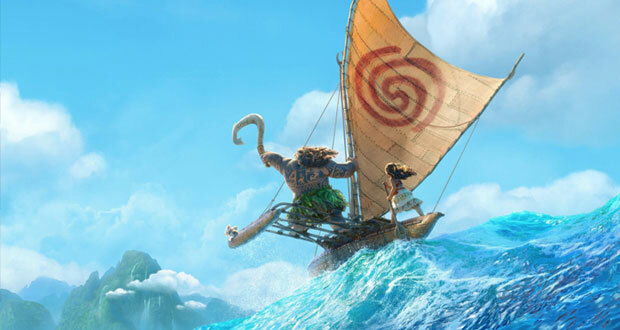 Moana’s quest to save her village will be no mean feat. Finding Maui is only half the challenge. Convincing the arrogant and vain shapeshifter to help her is another matter entirely. And as it turns out, the far reaches of the ocean is fraught with perilous encounters with the likes of pirates, demons and musical shellfish. One thing I appreciated about Moana is that she may well represent the next step in the evolution of Disney princess characters. Mulan, Merida and Elsa were all Disney princesses who challenged societal expectations and fought for their agency. Moana’s agency on the other hand is treated as standard. Her identity isn’t defined by pushing back against the patriarchy. She doesn’t have to fight for the right to be heir to the Chief. 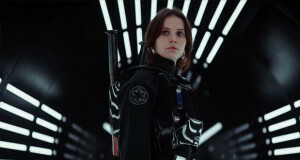 She is just presented as being as capable, courageous and independent as any other Disney hero straight out of the gate. I would be remiss not to mention Moana’s musical score which is absolutely superb. The soundtrack melds traditional South Pacific sounds with Broadway pop tunes with contributions from such talents as Broadway playwright Lin Manuel Miranda and Flight of the Conchord’s own Jemaine Clement. There are also contributions from a Fijian choir as well as vocal group from New Zealand. The result is a wonderful cross cultural mish mash of tunes. The film slips effortlessly from the soaring and uplifting How Far I’ll Go to The Rock’s broadway belter You’re Welcome to Clement’s Bowie-inspired Shiny. It’s the best Disney soundtrack in years. It’s a credit to the film’s many strengths that the last thing I’m getting around to mentioning is its gorgeous visuals. Moana is loaded with plenty of imagination and spectacle as it vividly brings the Polynesian mythos to life. 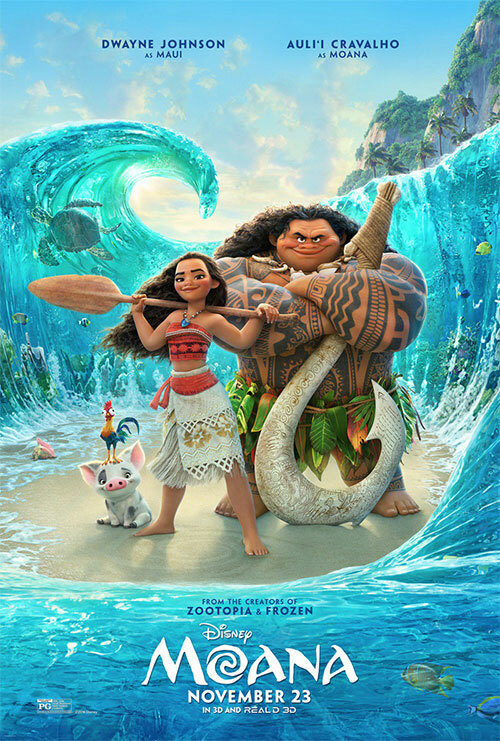 There is so much to take in with this film from the small, nuanced details such as the way the sand and water droplets texture the skin of Moana and Maui to the big, bold larger-than-life sights such as Te Fiti and Tamatoa, a gigantic treasure-hoarding coconut crab. 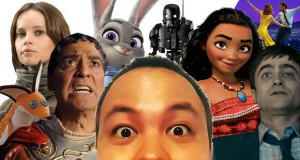 With the likes of Zootopia, Frozen and Tangled, Disney have set a high bar for themselves in recent years. 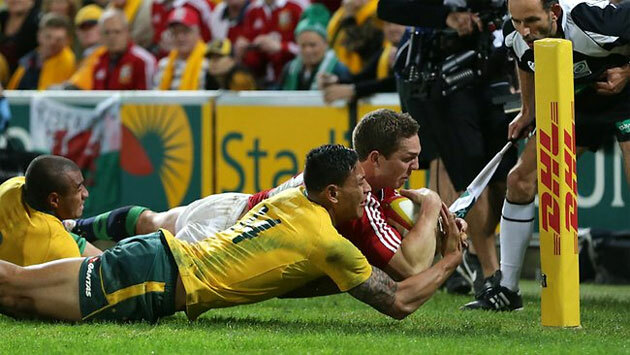 Happily, Moana continues their current run of red hot form. The film is colourful, charming and full of fun. An instant classic. When a curse incurred by the Demigod Maui reaches a Chieftain’s daughter’s island, she answers the Ocean’s call to set things right. Summary : Imaginative, visually sumptuous and filled with excellent musical numbers, Moana is an outstanding animated feature. Wait, so you’re a grammar expert now?